It may start with tightness in your neck, followed by flashes of light in your vision and a feeling of pins and needles in one of your legs. Finally, the pain starts. Extreme, stomach-churning pain in one side of your head that lasts for a full 24 hours before it finally subsides, leaving you drained and sensitive to light and sound. This is just one illustration of what the disabling neurological condition known as a migraine might feel like to any of the 1 billion migraine sufferers worldwide. There is no clear cause for migraines (even when misleading headlines say otherwise). What we do know is that genetics and environmental triggers contribute to migraines in those who are susceptible. If one parent is a migraine sufferer, there is a 50% chance that their children will also suffer. If both parents suffer, the likelihood increases to 75%. Migraines typically appear in adolescence and peak when a person is in their 30s. 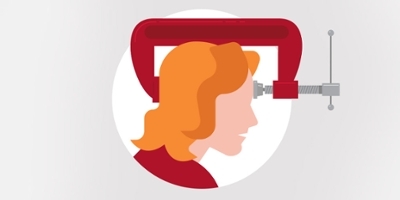 Women are three times more likely than men to suffer from migraines. Those who are likely to experience a migraine are often triggered by stimuli including foods, (such as cheese and salty snacks) alcohol, highly caffeinated drinks, bright lights, physical exertion, lack of sleep, weather changes, environmental changes, medications, and a number of other things. What may trigger a migraine in one person may do nothing for another. Prodrome is followed by the aura stage, which may appear before or during the main migraine stage. Migraine aura may manifest in the form of visual phenomena, tingling, weakness, auditory phenomena, or loss of vision or hearing. The actual migraine attack may last anywhere from four hours to three days and is characterized mainly by pain. Lots of pain. The pain may be in one or both sides of the head and may be a throbbing type of pain. The pain may be so severe it causes nausea, blurred vision, and light sensitivity. The final stage, known as postdrome, is a roughly 24-hour period that may leave a person feeling drained, along with feelings of confusion and moodiness. Aside from an extraordinary level of pain, migraines can cause a number of complications, including abdominal issues, strokes, and more. One of the most common complications is a condition known as chronic migraine. Chronic migraine is defined as having a migraine on 50% of days for three months or more. The people most at risk for chronic migraine include those who overuse caffeine, opiates, and barbiturates, along with those who suffer from depression, sleep apnea, chronic pain, and seasonal allergies. Although it can be difficult to treat a migraine in the moment, there are medications available that can help, ranging from simple aspirin to prescription medications. What provides a more effective solution is to prevent migraines as much as possible. This includes doing things like exercising more, sticking to a consistent daily schedule, and a process known as “learn to cope,” which involves being exposed to migraine triggers in small doses in order to become desensitized to them.